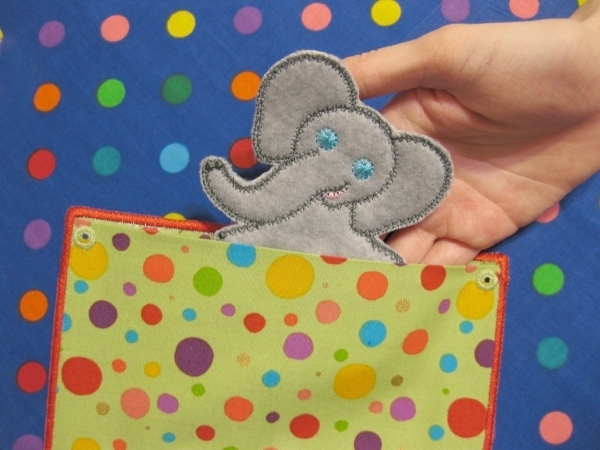 Your little ones are going to love this cute fold out book. 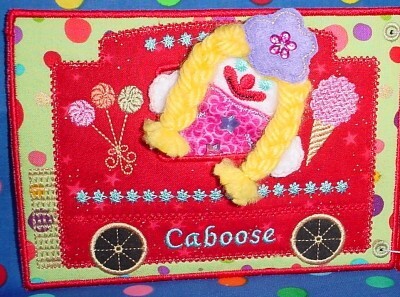 It can be made for girls or boys. 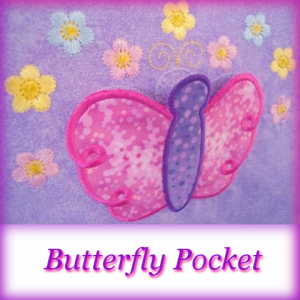 You can use more girl colors than I did, as well as add crystals to make it real girlie. 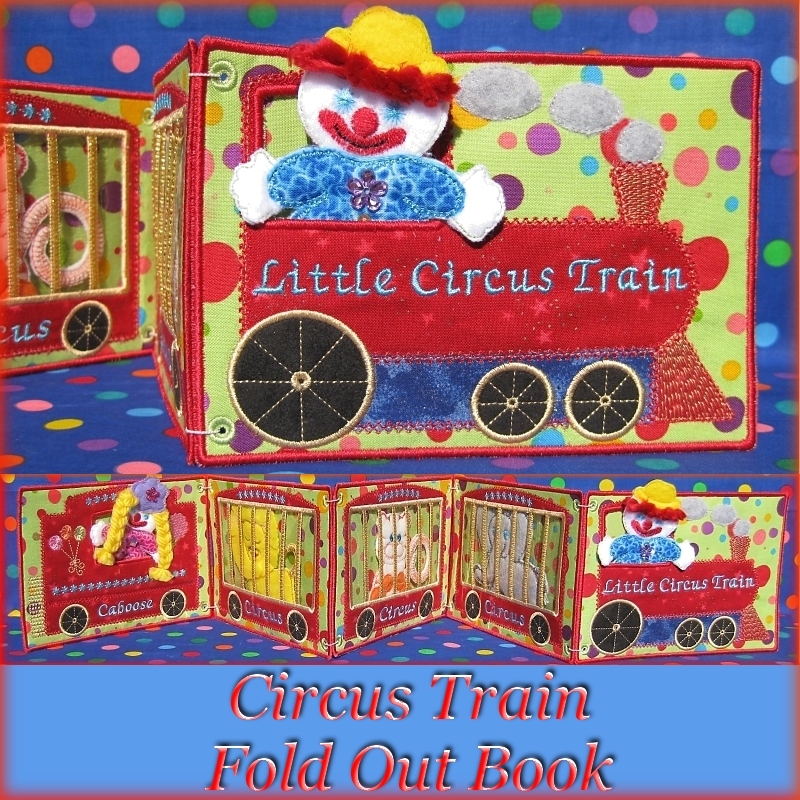 This set includes the train designs as well as the animals and clowns. You get an engine, a cage car and a caboose. 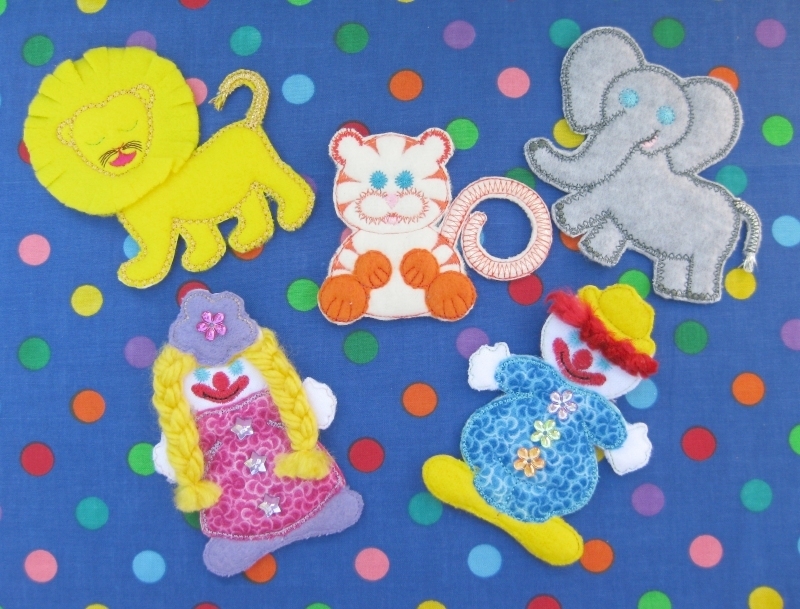 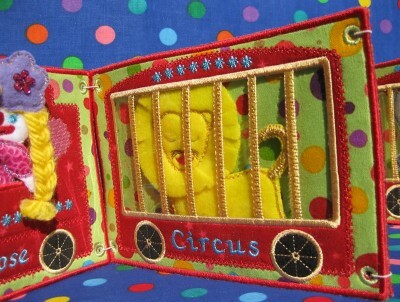 There are 2 clowns included in this set, as well as an elephant, a tiger and a lion. 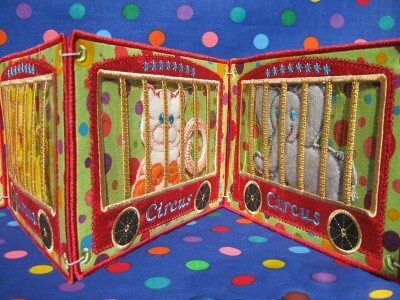 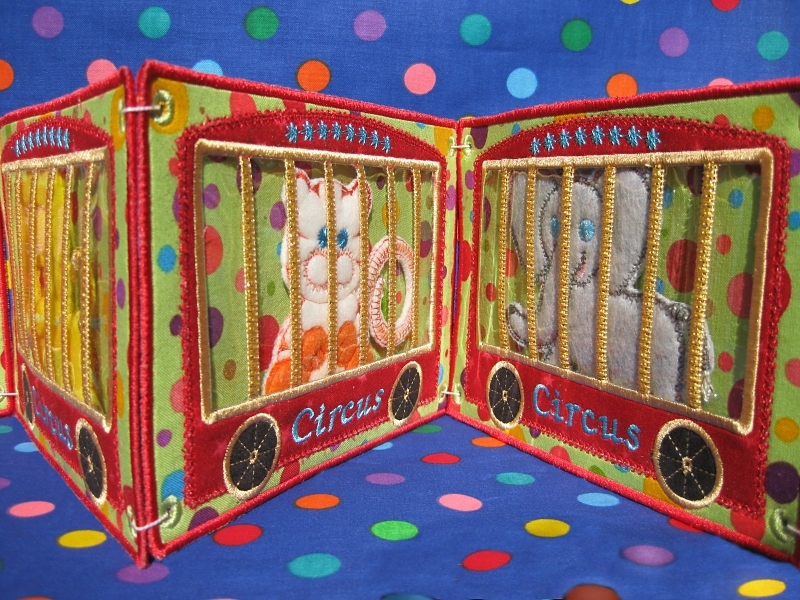 The train designs have pockets on the back, so your little ones can slip the animals and clowns into the train. 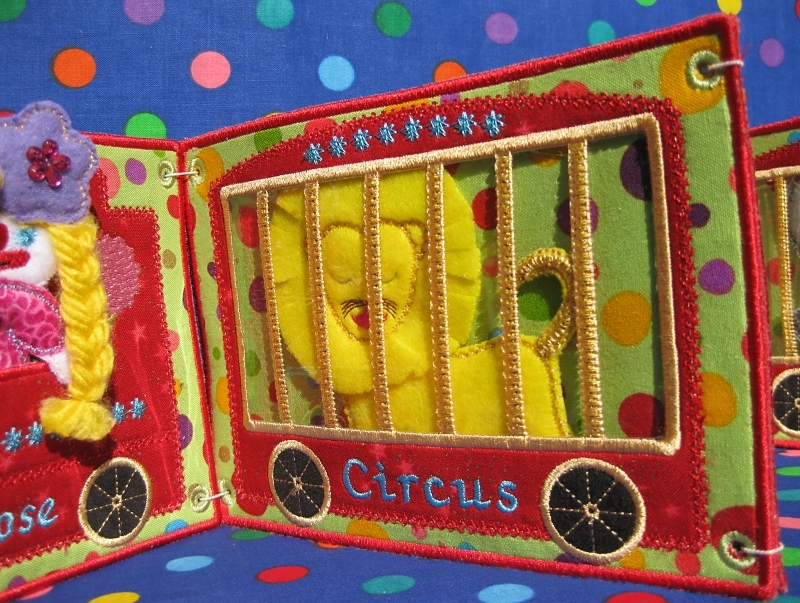 The train designs have eyelets on them so you can put your designs together to create your own fold out book. 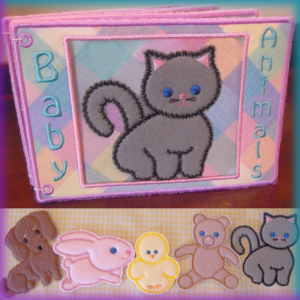 Instructions are included with step by step directions on the color charts. 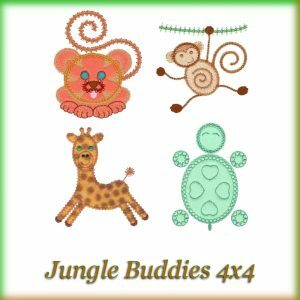 Also check out my tutorials. 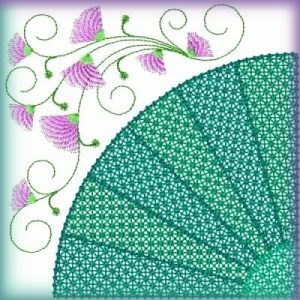 You can use any fabric you want as long as you iron some fusible web on the back of your fabric before you start sewing. 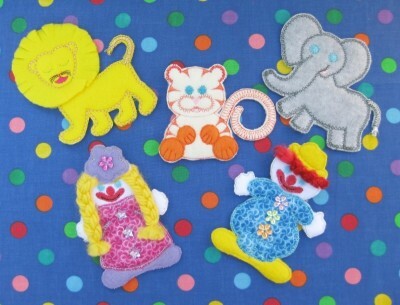 Then just press each design with a hot iron to set when you are finished with the designs. Make sure your fabric is iron safe and won’t melt.